In the project’s drive to continue to reduce costs for energy consumers and minimise impacts as we develop onwards from CFD allocation, we will be using the latest power flow management techniques to enable us to remove the need for an Intermediate Electrical Compound (IEC) from our final onshore design. This design change will help further minimise the costs of constructing Triton Knoll and reduce the cost of energy generation for consumers even further. The IEC was originally planned to be built near the village of Orby (the works were to be located 3.5km away from the village) and would have had a footprint of around 1.8 hectares. It was considered necessary to manage power flows along on the of the longest, high voltage, underground cable routes in the world. But based on technical modelling and subsequent collaboration between the project team and contractors, the IEC has now been deigned out of the electrical system altogether and will not be built. This is an important update for the communities neighbouring the IEC site, especially Orby. The change in design addresses issues raised during the planning process, and will reduce the overall visual and construction impacts of the project in the local area. The design change will mean a reduction in construction traffic overall, and we are still committed to ensure that no construction traffic travels through the village of Orby. 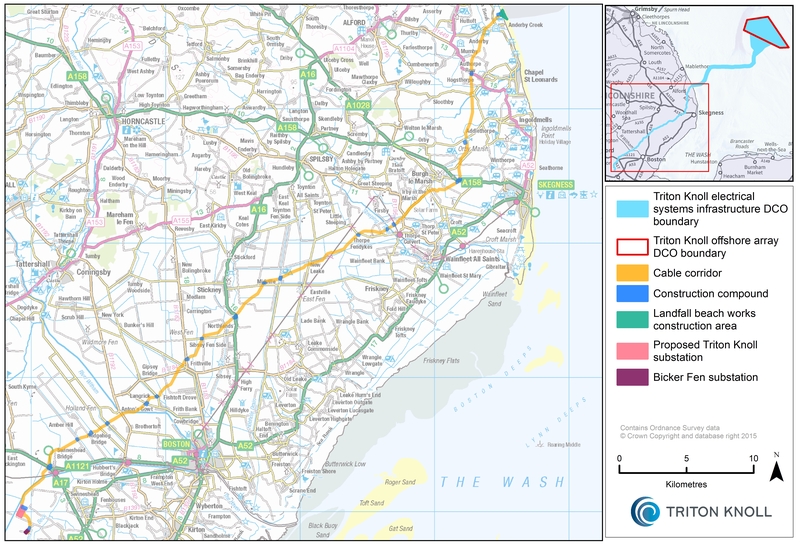 A smaller haul road than originally planned will now be required, reducing the width of the cable route between the A158 and IEC site by 6 metres. 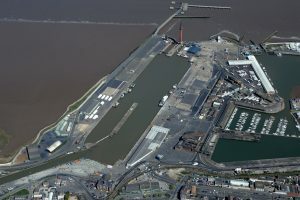 This design change means that project infrastructure in the proximity of Orby is now expected to be limited to the underground cable and joint bays. To see a copy of our press release, please click here. Q Why have you changed your minds about an IEC? In our drive to reduce the costs of energy generation from Triton Knoll, we’ve been pushing the boundaries of the very latest technological advances in power flow management with a view to fully removing the IEC building from the final project design. We’ve worked closely with our suppliers to achieve this and have now been able to remove the previously anticipated IEC building from the design. This will result in a reduction in the overall impact of the project in Orby. For more than a year we’ve drawn on our in-house expertise and experience to change the way we manage the flow of electricity from the wind turbine generators to the national electricity network, in order to remove the IEC. Managing electricity flows along one of the longest, high voltage underground cable routes in the world was an incredibly technical challenge. Triton Knoll is one of the few projects in the world that has employed such a design solution. Q What have you done differently? / How have you designed out the IEC? We’ve used the technological expertise and experience that exists within the Triton Knoll project team to push the boundaries of the very latest technological innovations in order to model the flow of electricity along the cable route, with the aim of removing the need for the IEC, while maintaining the stability of the electricity supply. 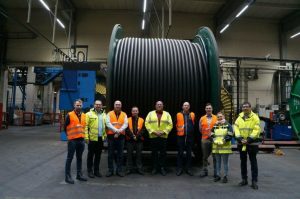 We have considered innovation opportunities within the supply and installation design of the cable and worked collaboratively with our suppliers to deliver it. The change in design addresses issues raised during the planning process surrounding the local visual and construction impacts of the IEC. And its great news for UK energy consumers as the removal of the IEC helps the project make significant savings which are driving down electricity bills. Q What will the construction work now entail? Installation of the underground cable near Orby, along with construction of a haul road from the A158. There will also be a temporary compound during the underground cable installation. Once the works have completed, the ground will be fully reinstated and returned to its former use. There will be no visible above ground sign of the project after the reinstatement works. Q What’s the impact on traffic? This innovation will reduce construction traffic overall, and means we can revert to a smaller haul road from the A158, so reducing our impact on the local area. Q Will Orby still be included in the Community Investment Fund? The annual community investment fund was always aimed at communities neighbouring the above ground electrical infrastructure. Following our previous consultation back in 2015, it was also decided to include the landfall location within the eligibility criteria to apply for the fund. Given that the only expected construction work near Orby is now expected to be the laying of underground cables and joint bays, Orby will no longer be eligible to make applications for the annual fund as they will not be in proximity to any above ground infrastructure. They will, however, still be eligible to make applications for the up-front fund of £500,000.